When producer Jack H. Harris’s The Blob (1958) screened at a “movie night” for my junior high class in the 1980s, the loudest reaction came during its closing shot, when the customary “THE END” morphs into a question mark. “That was my trademark,” said Harris on the commentary for the Criterion release of the film, and it was potent, at once teasing a sequel—which came in the form of 1972’s Beware! 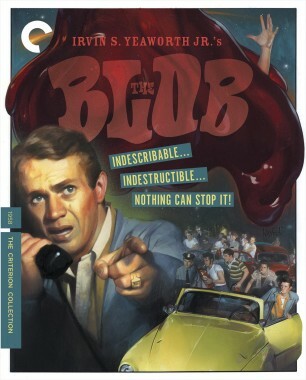 The Blob—and planting the notion that a giant, carnivorous Jell-O shot might be right behind you. Moreover, it was a deft sleight of hand by a master showman, putting his audience on notice that he’d be back to scare them out of another movie ticket. Harris, who died last month at the age of ninety-eight (ninety-eight! 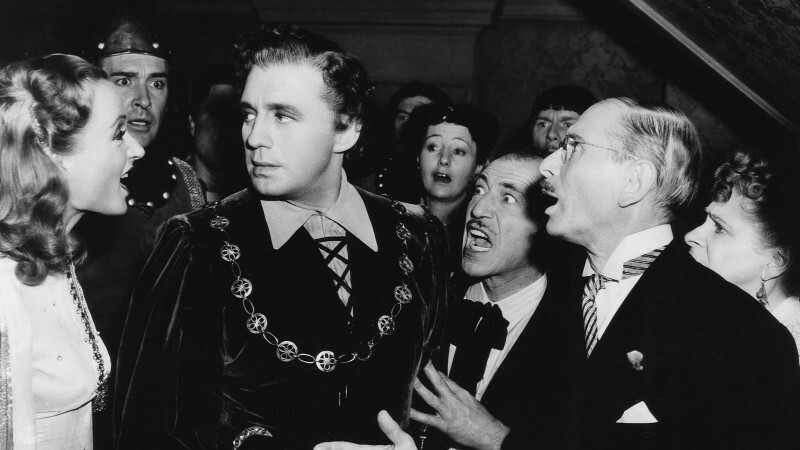 ), began his showbiz career as a child performer in vaudeville and appeared in a two-reel Our Gang knockoff. In the late 1930s, he parlayed a teenage gig as a cinema usher into the profitable management of motion picture exhibition and promotion. 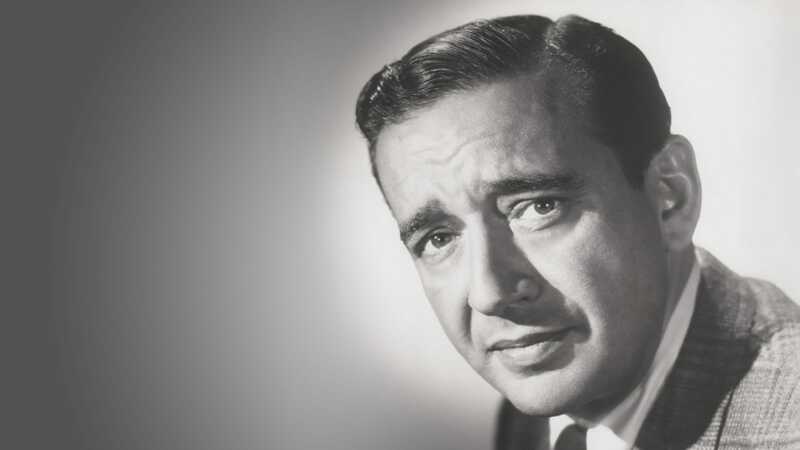 After serving in the U.S. Army during World War II, the ambitious impresario returned to his native Philadelphia and moved into film distribution. A chance viewing of The Thing from Another World (1951) inspired him with the idea for a sci-fi story that would evolve into The Blob. 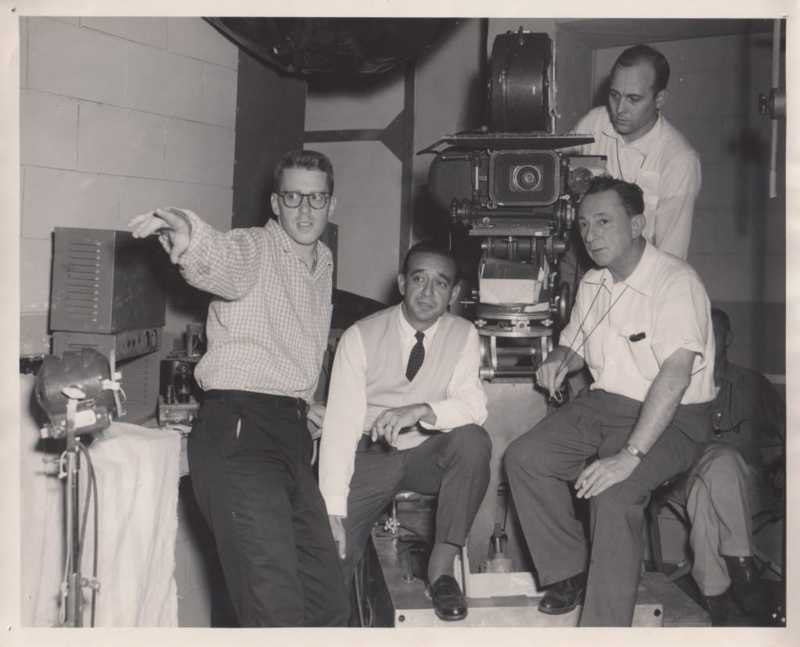 I was well aware of Jack’s films before that junior high screening, having read about them in publisher James Warren’s seminal Famous Monsters of Filmland magazine. Founded in 1958, the photo-filled periodical was on its last legs by the eighties, when Warren and editor Forry Ackerman struggled to sell classic creature features in a new world of chainsaw gods and knife-wielding monsters. Harris’s career traversed two generations of twentieth-century fright flicks and directly influenced the cinematic landscape of today. Following his smash success with The Blob (the $240,000 production earned $4 million in 1958 alone), he unleashed a horde of sci-fi/horror programmers in the late fifties and sixties. If intriguing efforts like 4D Man (1959) and Dinosaurus! (1960) banked largely on older genre conceits, Harris’s release of the 1965 Edgar Allan Poe adaptation Master of Horror—dubbed and recut from the 1959 Argentine TV series Obras maestras del terror—signaled a new frontier for the producer. In the seventies, Jack made the Master of Horror brand of creative recycling his specialty: purchasing, revising, and packaging unreleased features by promising young moviemakers. His acquisitions included future Animal House director John Landis’s ape-on-the-loose comedy Schlock (1973) and the “hippies in space” sci-fi satire Dark Star (1974), made by USC film students John Carpenter and Dan O’Bannon. 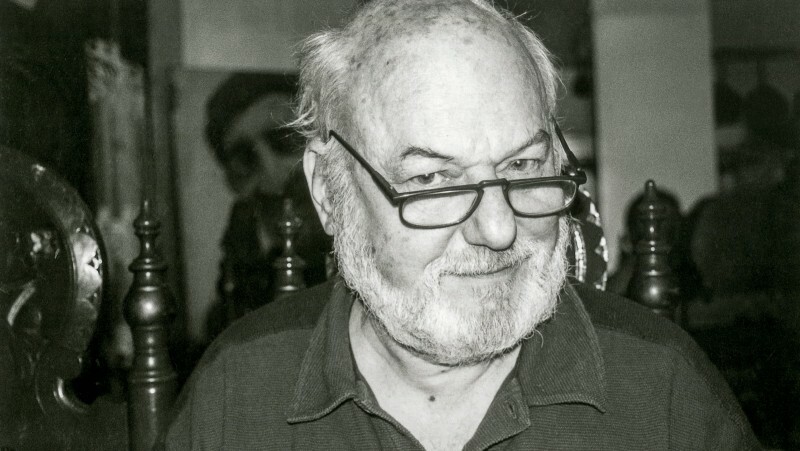 Within the following few years, Carpenter would direct his game-changing Halloween (1978), while O’Bannon developed a script with Ron Shusett that became Alien (1979). If some of those fledgling filmmakers disagreed with Harris’s executive decisions—Carpenter and O’Bannon were notably unhappy with the expanded scenes shot for Dark Star’s theatrical version—Jack nonetheless shepherded their work into worldwide release and history. “I’m just glad that Jack was there to buy it,” says Dennis Muren of his rookie film, Equinox (1970), “and that it wasn’t left just sitting on a shelf somewhere.” Post-Equinox, Muren has collected nine Academy Awards for films like The Empire Strikes Back (1980) and Jurassic Park (1993). The impact of Harris’s fleet of rebel films is ongoing. Doug Naylor, for example, has cited Dark Star as an inspiration for the Red Dwarf franchise he created with Rob Grant, and a new Blob, starring Samuel L. Jackson, has been announced (the film was previously remade in 1988). Innovative comic book artist, writer, and publisher Stephen R. Bissette (Saga of the Swamp Thing, Tyrant) found resonance in Jack’s oeuvre. Equinox was it for me, too. 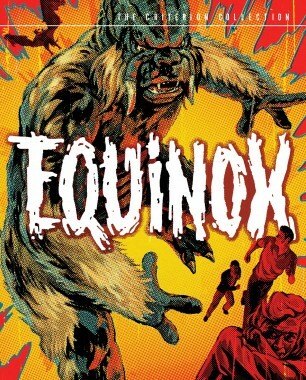 Originating as an amateur effort called The Equinox: A Journey into the Supernatural(1967), the film boasts a Ray Harryhausen–style battle between teenagers and stop-motion demons for the possession of a magic book. Muren produced, and codirected with Mark Thomas McGee, the seventy-one-minute adventure for only $6,500. Harris liked the film’s “kids vs. monsters” scenario, which had echoes of The Blob, and bought the effects-laden film. 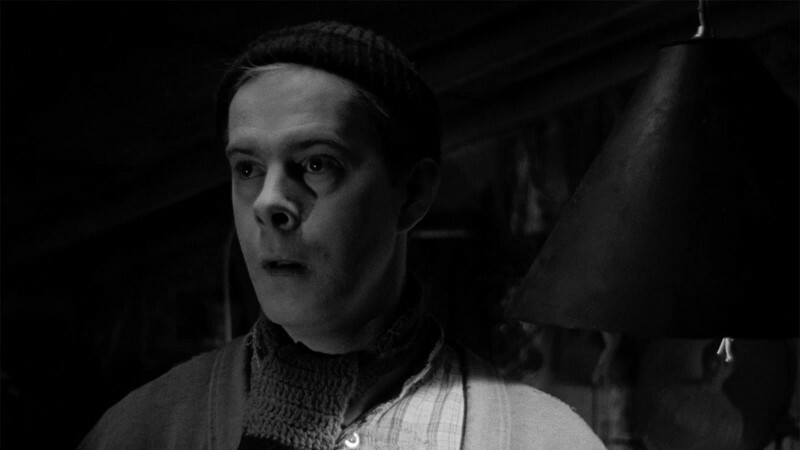 He then hired John Cassavetes’s post-production editor, Jack Woods, to shoot new scenes and recut the picture. 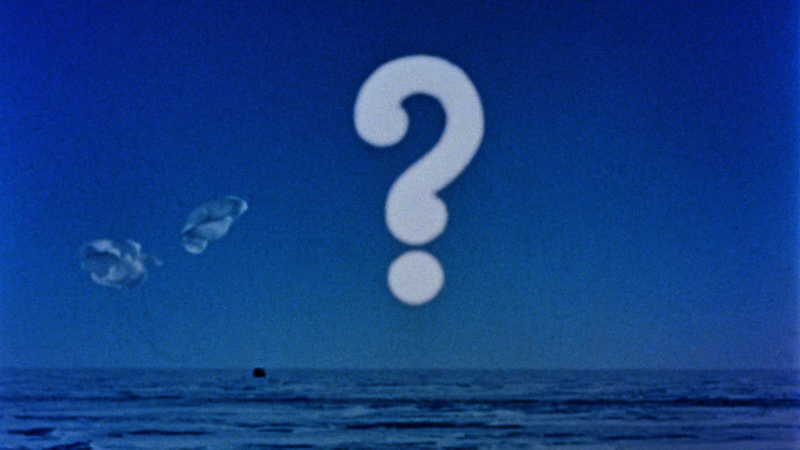 The expanded feature, with a truncated title, was another winner for Harris, who branded his famous question mark onto the film’s eerie conclusion. My first glimpse of Equinox was a black-and-white still of stop-motion animator David Allen’s bat-winged demon, published in Famous Monsters. As a young fan of stop-motion, I just had to see the film. But how? I never seemed to catch it in the TV Guide listings, and though it received a home video release in the eighties, I couldn’t find a copy to save my life. Fortunately, the ever-shrewd Harris had struck a deal with home movie distributor Ken Films of New Jersey, and a thirteen-minute Super 8 digest of Equinox was just a mail order (and a month or two of allowance cash) away. With my family’s old Super 8 projector plugged in, Allen’s demon finally took flight. While studying film at the University of Colorado at Boulder in the nineties, I worked at the Video Station, an Alexandrian library of cinema containing nearly 50,000 rental titles. I ran the counter with an extraordinary group of friends that included Derek Cianfrance, who later directed Blue Valentine (2010), and future Criterion Collection senior producer Susan Arosteguy. The Video Station was our Cinémathèque française, and proprietor Scott Woodland (who owned the business with Ivory Curtis) our Henri Langlois. The shop—which closed last month after thirty-five years—had a VHS copy of Equinox (inexplicably retitled The Beast by Charles Band’s Wizard Video). I practically wore the tape out, and eventually bought it. At the time, I considered writing a magazine article on the movie, but life and my own film projects got in the way. Fast forward several years, and I’m a programming executive at the Starz cable network, writing and producing documentaries for The Westerns Channel. By that time, I had boxes of Equinox-related articles and memorabilia. Inspired by Peter Bogdanovich’s monographs, I decided to write a book on the film but changed my mind after watching more and more Criterion DVDs. Why pen a monograph when word, image, and recorded interviews could all be captured by a single medium? I phoned Susan Arosteguy, asking her advice on a DVD company I might approach. I hadn’t given a thought to the possibility of producing the project with Criterion but, as luck would have it, they’d acquired the DVD rights to Equinox along with The Blob. I e-mailed my DVD proposal, and soon I was given the green light to contact Jack H. Harris and Dennis Muren. Both became friends, and were a joy to work with. Along with Criterion producer Curtis Tsui, Susan and I spent three years on the project, collecting and cataloguing materials, tracking down the original cast and crew from both versions of the film, shooting interviews, and recording audio commentaries in Los Angeles and George Lucas’s Skywalker Ranch in Northern California. I also wrote the monograph, included as a booklet with the double DVD set. On July 12, 2006, we premiered the DVD to a packed house at the historic Egyptian Theater in Hollywood. Everyone we’d located from both film crews was there, including Jack Harris. Forry Ackerman, who’d published that fateful demon photo years before, was sitting in the front row. The DVD release seemed to awaken a sleeping stop-motion giant. Equinox has a massive following of fans. One of them is Tom Sullivan, who, a decade after Harris’s release, created the special makeup effects for The Evil Dead (1981), another shoestring “kids vs. demons” flick. In the years following the premiere, I spoke occasionally with Jack, who was always supportive of my career. In 2015, Jack, Dennis, and I launched an extended fiftieth anniversary tour of Muren’s original version of Equinox. My short film Pondwing (2015), inspired by a synchronistic memory of The Empire Strikes Back I had at Skywalker Ranch, would open the screenings. Last October, Dennis and I took the show to the Cinefamily in West Hollywood. The talented stop-motion artist John Barnett, who built and animated a Dagobahn pterodactyl for Pondwing, flew in from Texas. I’d hoped that Jack could join us for the screening, but his poor health prevented it. Graciously, Jack and his charming wife, Judy, invited John and me to join them for breakfast the next morning at their oceanside home in Malibu. It was a wonderful visit, and the last time that I’d see Jack. I brought along the Pondwing puppet, which Jack got a kick out of playing with. As he and I clowned around, taking photos, I held the puppet in front of us, creating a forced perspective of the creature flying toward the endless Pacific, framed by the Harrises’ living room window. In a heartbreaking mishap, the puppet was lost at the airport that afternoon. When I mentioned this in an e-mail to the Harrises a few days later, Judy sent a sweet reply on behalf of Jack and her. That’s as good an ending as I can think of. Question mark or not. Special thanks to Judith Harris, Jacquie Jordan, and TVGuestpert Publishing. The Blob and Equinox are now streaming as a double feature on the Criterion Channel.